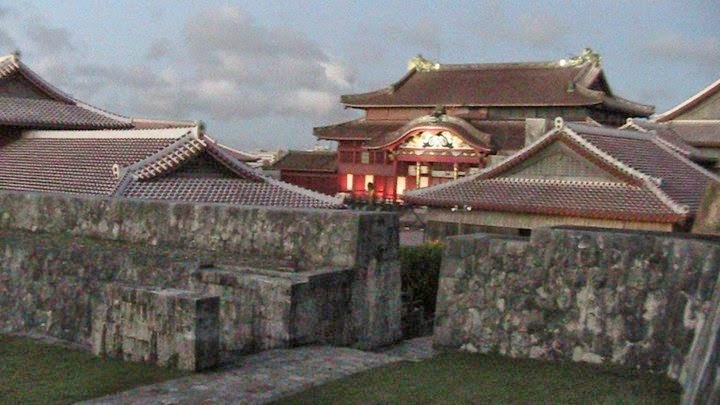 Long long ago, a RyuKyuan king ruled over an island paradise nestled between the Pacific Ocean and the East China Sea. The kingdom's coffers had been filled through trade with their neighbor China. The king's people grew fat and happy and they loved him dearly. All the world seemed to be peacefully strolling into the future. Somewhere in the black depths of the sea the earth began to shake. A dim light peaked through the newly exposed crust below the ocean. A golden dragon's slumber had been interrupted. Worse yet it was hungry. Now, this was a time of unusually profitable trading. So much so that a high ranking Chinese Emissary was invited to dine at the kings Palace in Naha. 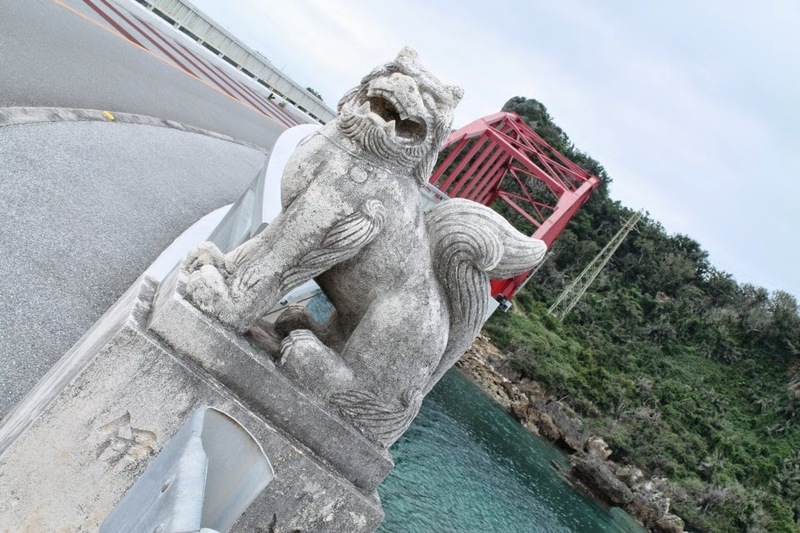 After dining and drinking the sweet nectar of Awamori he gave the king a treasured gift; a Komainu. The king looked at it in horror. "What is this beast you give me?!" The old emissary took no offense but gently replied, "Forgive me...its appearance can be frightening but it is nothing to be feared. It is part lion and part dog. It will be loyal and fierce. It will protect you and your people." The king took another look and the furry face of his childhood dog came to mind. His heart warmed and he thanked the emissary for the kind gift. "We will have to find a word for it in our own tongue....We'll call it Shisa. They will guard us as they have guarded you." He sent out a decree to search for the best craftsmen to immediately have the figurine made into a necklace. Months later, when it had finally been crafted to the kings specifications, he made a vow to wear it at all times. In the nearby town of Madanbashi waves began to fiercely stir as the last light faded into night. Local fisherman began to regularly disappear into the vast blue range. At last one evening, just before sunset, the dragon emerged from the black depths. It dragged itself onto the beach devouring everything in sight. It trampled the well laid streets and clawed at the red brick roofs of terrified peasants. After it had eaten its fill it disappeared back into the ocean. A local Noro (priestess) had seen the dragon emerge and wreak havoc. She went straight to her power spot and began to pray herself into a trance. 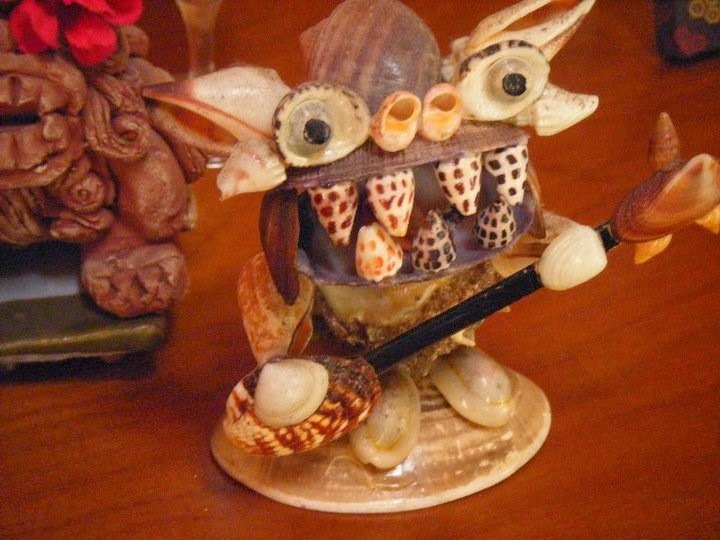 In the midst of the trance a vision of the king standing on the beach, one arm outstretched in front of him holding his new treasure, the shisa. 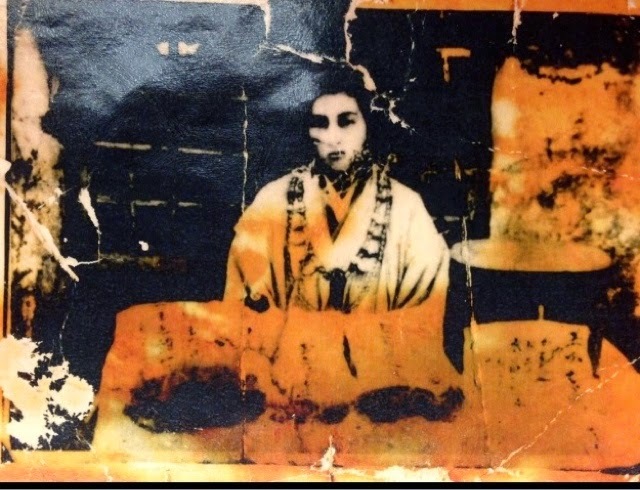 Immediately after her vision subsided she ran to the palace to tell the king what she had seen. At first the king didn't believe a dragon had set foot upon his lands. His face burned red and he shouted, "How could you ask me to believe such a tale! Do you take me for a fool?" Calmly but confidently she pleaded with the king,"Today you must come. You must see for yourself! 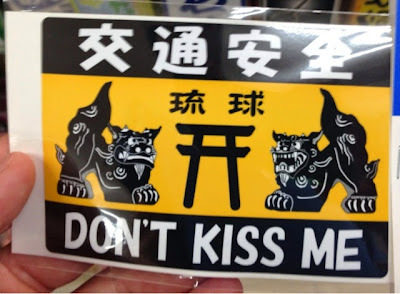 Don't forget to bring the shisa around your neck..." Reluctantly he left the castle ground with his personal guard in tow. When he came to Madanbashi he couldn't believe his eyes. Large, deep impressions in the shape of a yamori (gecko) feet were strewn about the village. 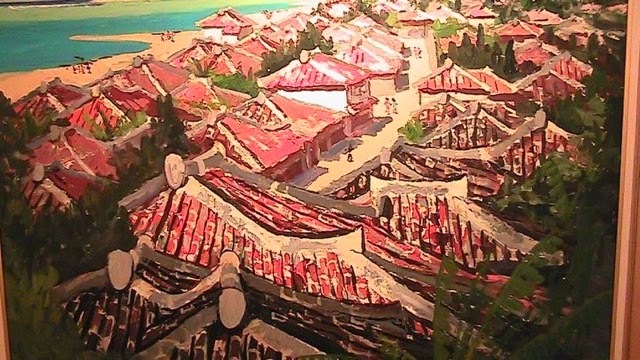 Red roof tiles littered what were left of roads. The king fell to his knees and began to weep. The sun would set soon but the king would not return to the palace until the noro's prophecy had been fulfilled. The Noro told him once more about her vision. The king immediately took off into the direction of the beach. By the time he had made it to the beach the sun had nearly mounted the hills to the east. "Damn you dragon! Show yourself! You will face my wrath!!" The ocean began to stir and bubble. 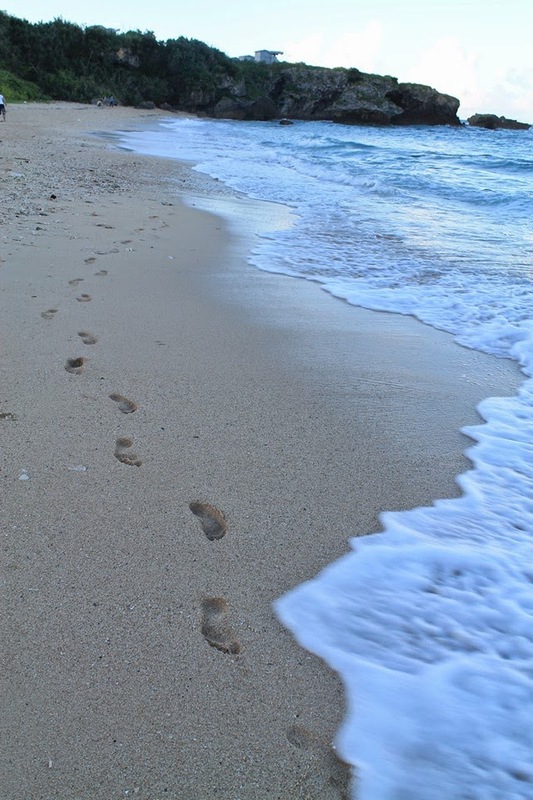 The waves swelled and reached ever higher up the beach. 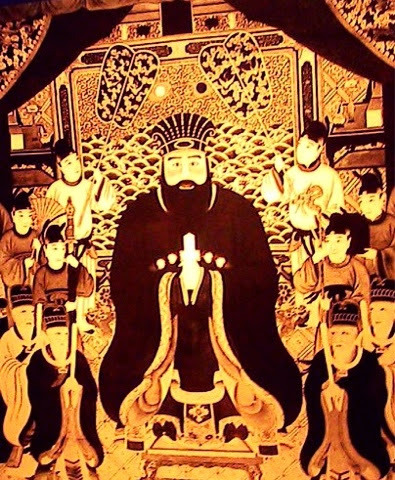 The king wrapped his fingers around the shisa waiting for the dragon to emerge. "BEEEEYAAWWW!" 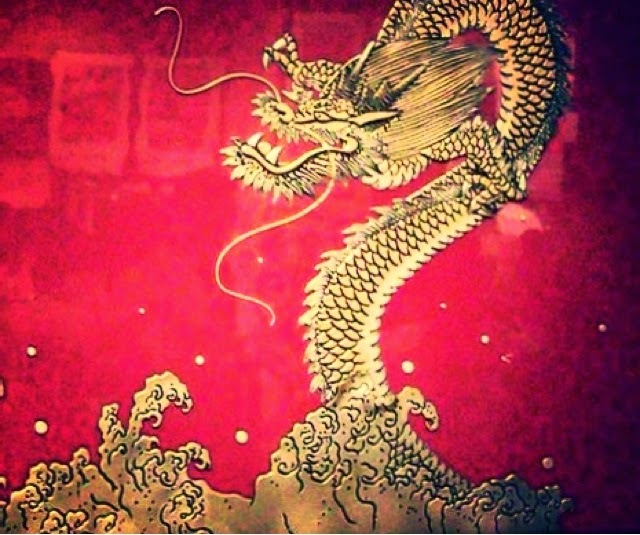 The dragons golden head encircled with seaweed breached the surface. It slithered to the shore and stood defiantly in front of the king, "What do you want puny human? Your crown cannot save you from being devoured like a mere peasant." The dragon lifted its head back, smiled and showed rows of katana like fangs intending to devour the king. The king, knowing this could be his last chance, ripped the shisa from around his neck and showed it to the giant gold dragon in front of him. The earth began to tremble and the dragon, feeling fear for the first time, began to recede back into the ocean. 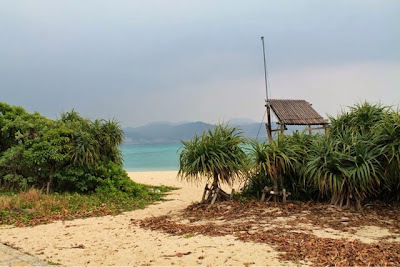 The terrified king dropped the shisa onto the beach and ran back toward the village. 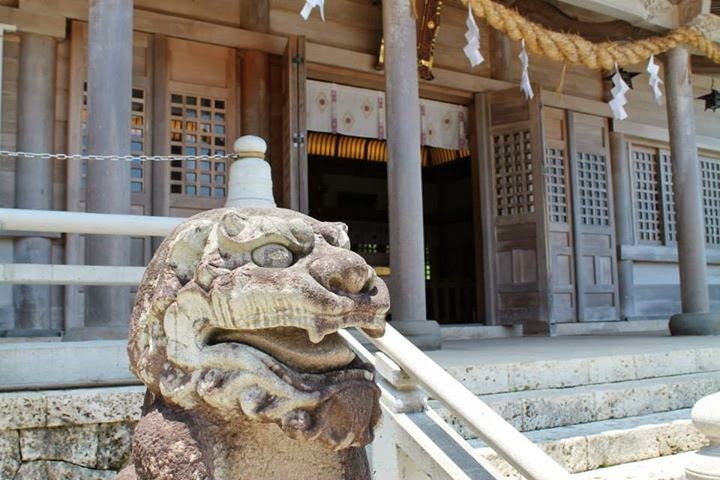 The shisa's mouth opened and a deafening roar filled the air. The sun rested upon the peaks of the eastern hills and a dark shadow could be seen descending across the suns face. A rock from the heavens fell straight onto the dragon trapping it before it could escape. It pleaded for help (as well as tree fiddy) but the people would not hear its pleas. Eventually it died of starvation and the king was forever a legend. 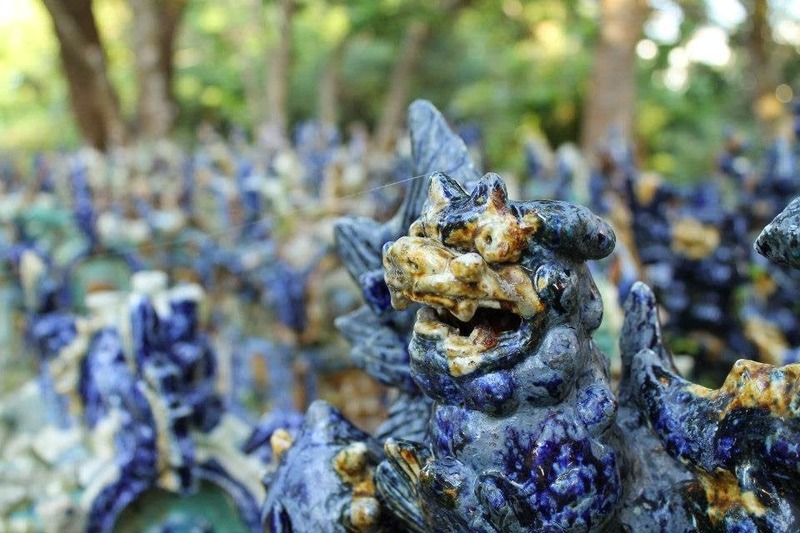 Today, hundreds of years after the dragons death, its remains are still visible today at the Gana-mui woods near Naha's Ohashi Bridge in Okinawa. 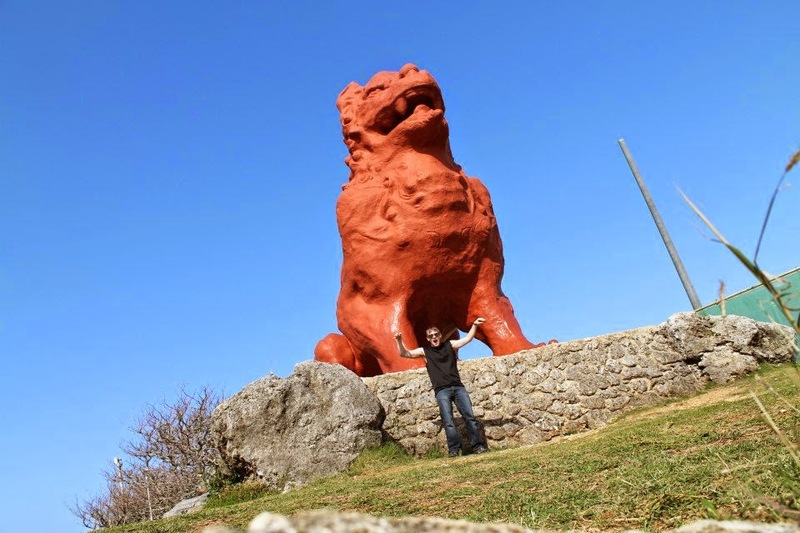 The story above is one of the local legends for an iconic piece of Okinawan culture, the shisa. 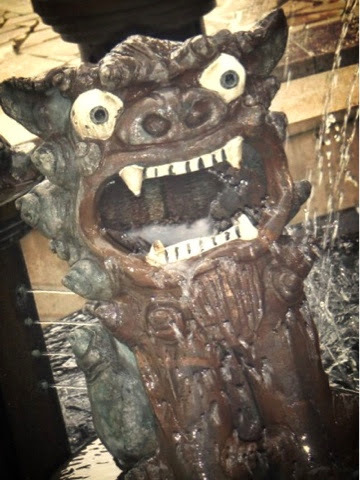 Shisa can be compared to gargoyles in the western world. They can be beast-like in appearance but they serve as a form of protection from bad/evil spirits. Shisa come in two forms, one male and one female. Depending upon who you ask the different genders and their appearances signify different things. The most commonly held opinion is that the male is placed on the left with its mouth open to scare off evil spirits. The female, is placed on the right, with its mouth closed to keep good spirits and good fortune in. If you ever visit Okinawa you will indubitably see these figures all over the place. 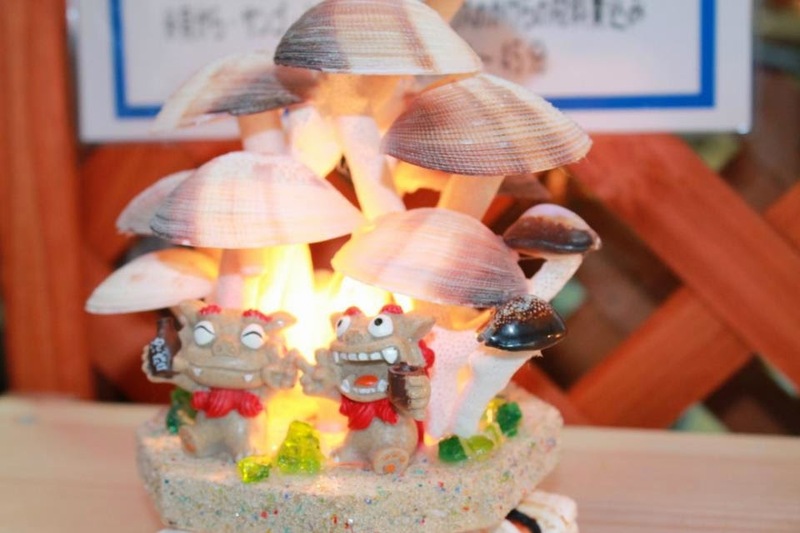 They are placed in front of residences, businesses, on the street, on rooftops, on t-shirts and have become a very popular souvenir to bring back home. 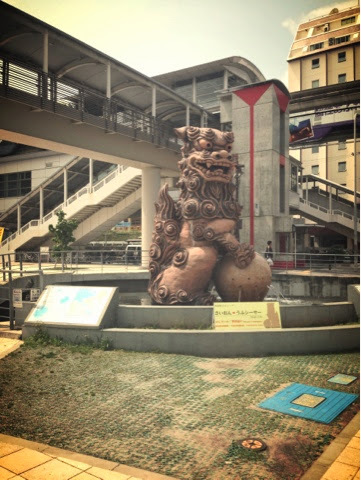 Like many things found in Okinawa it seems to be a modified version of something Chinese. 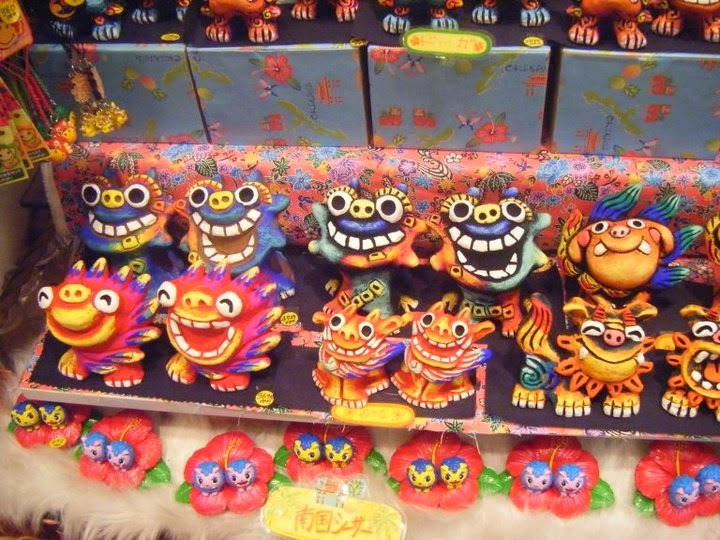 In this case people believe shisa have developed from the Chinese Komainu (lion-dogs- Sorry I have no idea what the Chinese term for it is). 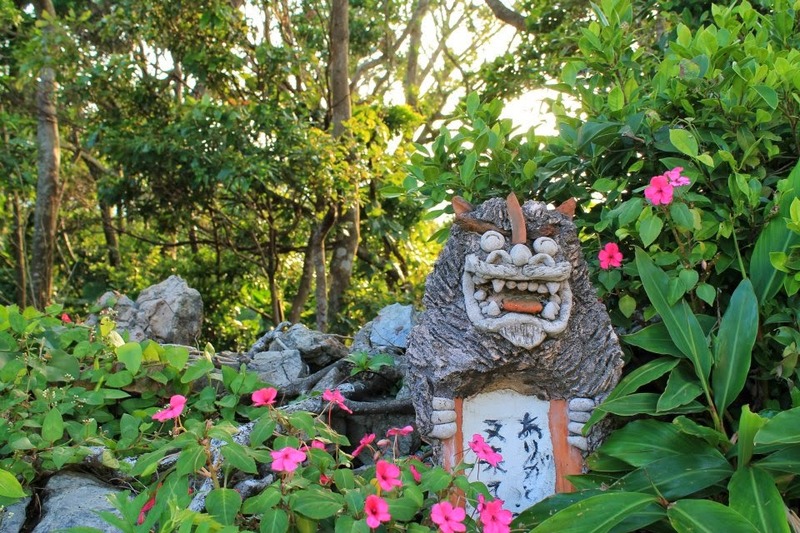 Komainu were brought to Okinawa sometime during the 14th century. 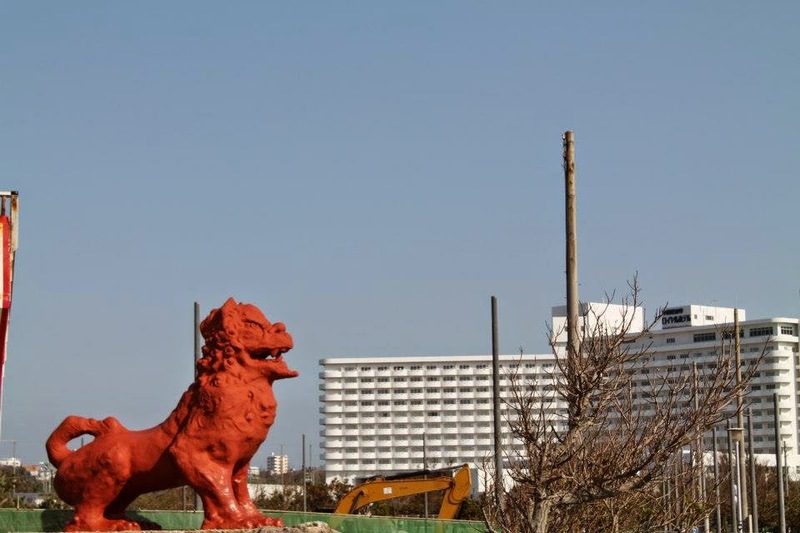 Eventually shisa found their way to mainland Japan and were known as "guardian-dogs" during the Edo period (1603-1867). 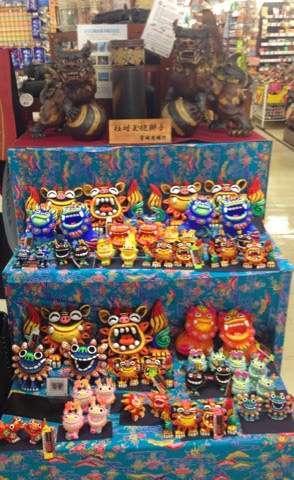 Today shisa come in all shapes and sizes! From the terrifying to absolutely adorable. They guard houses, bridges, shops and government buildings. 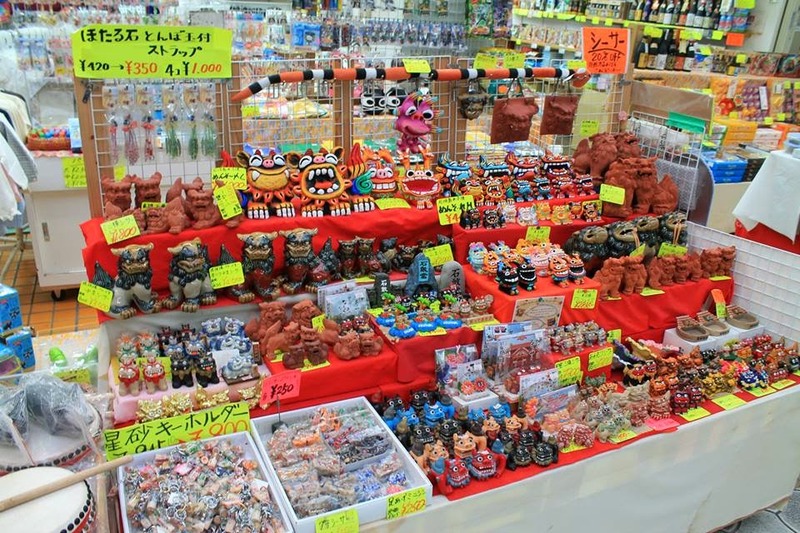 They are on stickers, t-shirts and many other souvenirs which are very popular with tourists from across the globe. So what are your thoughts on Shisa? Cute and awesome or ugly and scary? Feel free to chime in! I have thoroughly enjoyed this. Very informative. 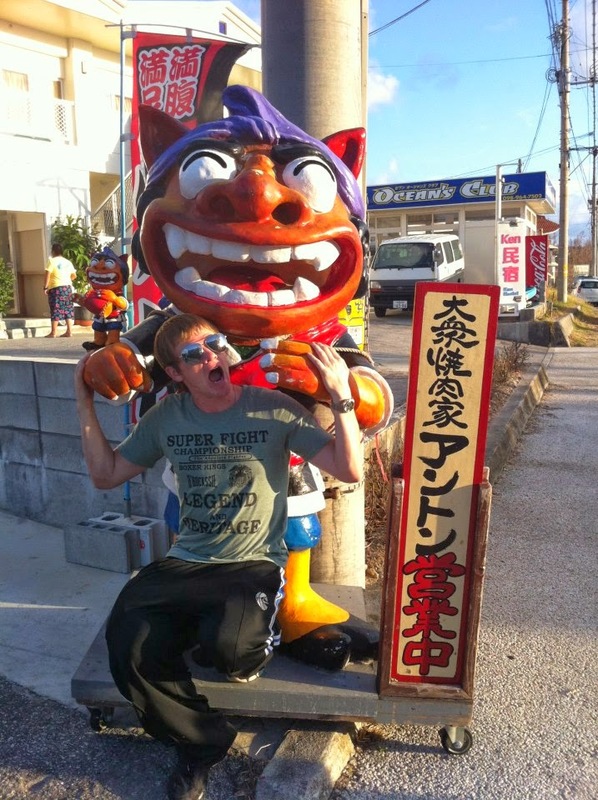 Ha, love learning something new about Okinawa!!! !